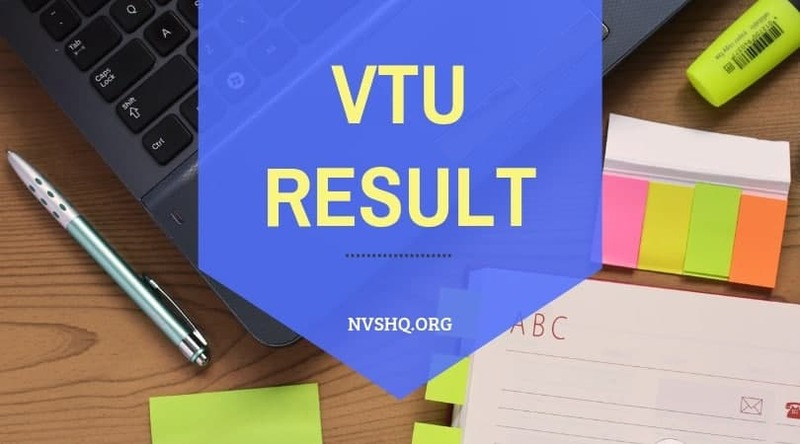 VTU Revaluation Result 2019: Visvesvaraya Technological University has announced BE/B.Tech 1st & 2nd sem Revaluation result. The exam for the same were held in the month of Nov-Dec 2018. Examinees enrolled in B.E/B.Tech can view their VTU Revaluation result from below links. They have to access their result only through the official portal of Visvesvaraya Technological University. BE/B.Tech/M.Tech (CBCS & Non-CBCS ) all Semester Revvaluation Result for all regions Released. University will not send any hard copy of result to any students. After result, interested students can also apply for revaluation and photocopy of answer scripts. 2 How to access VTU Result 2019? In this particular article, VTU students who are eagerly waiting for B.E/B.Tech result for 1st semester will find all the details related to the result. How to access VTU Result 2019? VTU publishes all the semester results on its official website. Therefore, B.E/B. Tech 1st semester result will also be released online on the notified dates. Candidates who have appeared in the semester examination have to download their result from VTU portal. They can take help from the step-by-step procedure shared below to download the result. Visit the official website of VTU (http://vtu.ac.in) or result portal or click on the result link shared in this article. On the homepage of the website open the “examination” tab and select the result option. University result portal will open. Click on “Nov/Dec BE/B. Tech examination result”. Select the relevant result option under the heading CBCS. Enter the user number and captcha code. Download the result for personal record. What are the details printed on VTU result? The aforementioned information can vary from the one mentioned in the official result sheet. Any discrepancy in the result sheet should be taken to the notice of the concerned university department. After the publication of result, VTU provides an opportunity to students for revaluation. It means examinees who will not be satisfied with their marks and result of semester exams can apply for revaluation of answer scripts after the declaration of online result. Such candidates have to fill an application form for revaluation of answer scripts. Revaluation application form will be published online after release of result. Interested students have to submit the online application with the payment of prescribed application fee. Without application and fee, no request for revaluation/rechecking will be accepted. Visit the VTU result portal i.e. http://results.vtu.ac.in. Click on the revaluation application link for respective region. Student login page will appear. Enter the Username and click on login button. Make payment and complete the application. Applicants have to pay a revaluation fee of Rs.400/- per subject, Rs.300/- per subject for photocopy of answer scripts and application fee of Rs.20/- per candidate. Fees should be submitted to Finance Officer, VTU Belagavi through the online mode. revaluation applications should be submitted before the due date. After the revaluation of answer scripts, board will release the revaluation result. Those who have applied for the same can check their result by following the same procedure mentioned above. The revaluation result will indicate the upgraded marks of the candidates after rechecking of the scripts. The revaluation result will be final and there will be no challenge valuation facility. VTU students should not treat result sheet published on the university portal as the original mark sheet as it is only the provisional result. The original mark sheet will be issued to all the students after the online announcement of result. The university will notify its students about the distribution of original result sheet. VTU result for B.E/B.Tech 1stsem result for Nov/Dec 2018 exams is going to be announced soon. Result will be made available on university result portal (http://results.vtu.ac.in). Students must remember their user number/name to access the result. Students are also given an opportunity to apply for revaluation and photocopy of answer script once the result is released. If you have any problem in finding your result, then you can comment below. Our expert team will help you in finding VTU result for UG/PG course semester wise exam 2018-19. All the best for result. Dear sir, my son BE 1sem and 2sem re exam wrote in Dec/Jan 2018-19 VTU. Name-Godwin Solomonbabu Saginal. when you releasing the results let me know.Thank you sir. Pl tell me what is the last date of revaluation with late fine if any or it will extend . When is 1st semester revaluation?